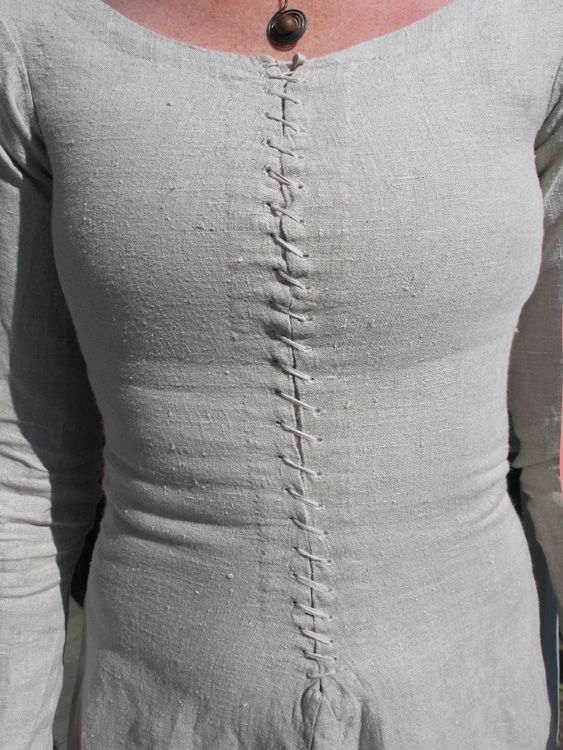 The medieval womans dress, didn´t have our modern folds, for the breast. 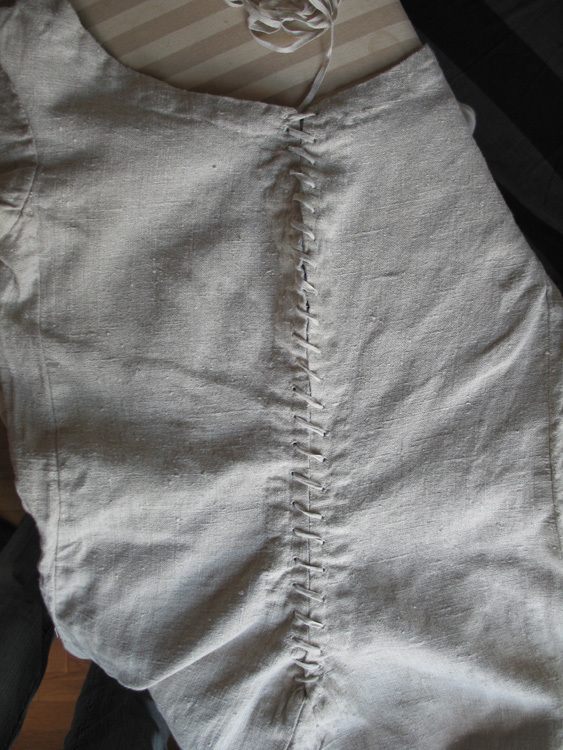 This is an easy way to make a bodice or a supporting underdress, even if you have large breasts. Though the breast will look like one long bread, but this is realy period! 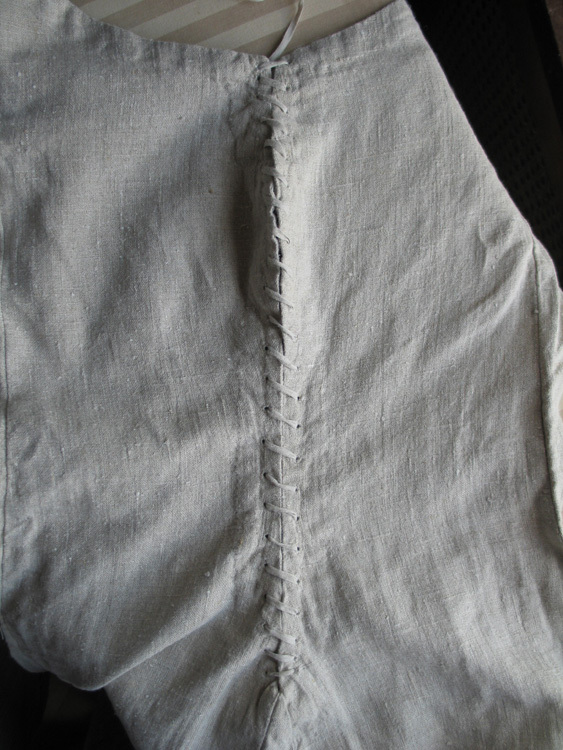 Here I have added more cloth in the hight of my breast, notice the profile. 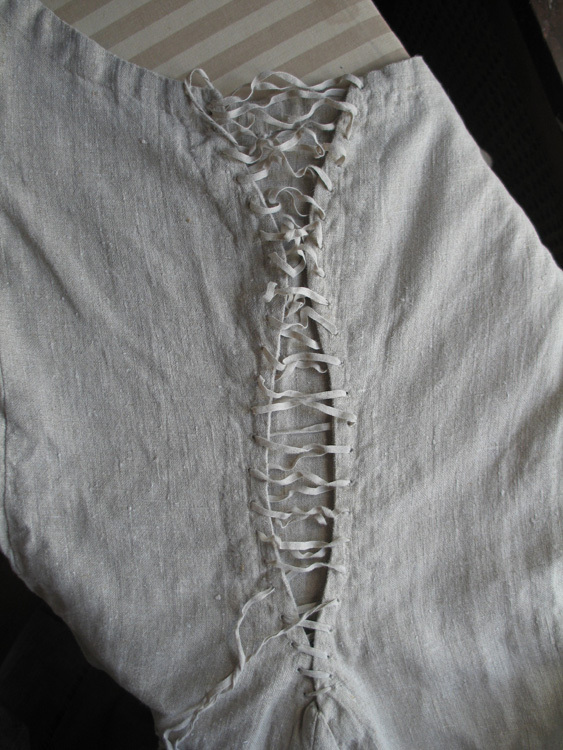 If you want to lace in your sideseam instead of the front. You must move the extra cloth to under your arms. When it is lased and lye flat, it looks like this. But when you pull out the dress like this the front will look straight enought. The textile är flexible. This way you can move freely and yet have full support without a bra. 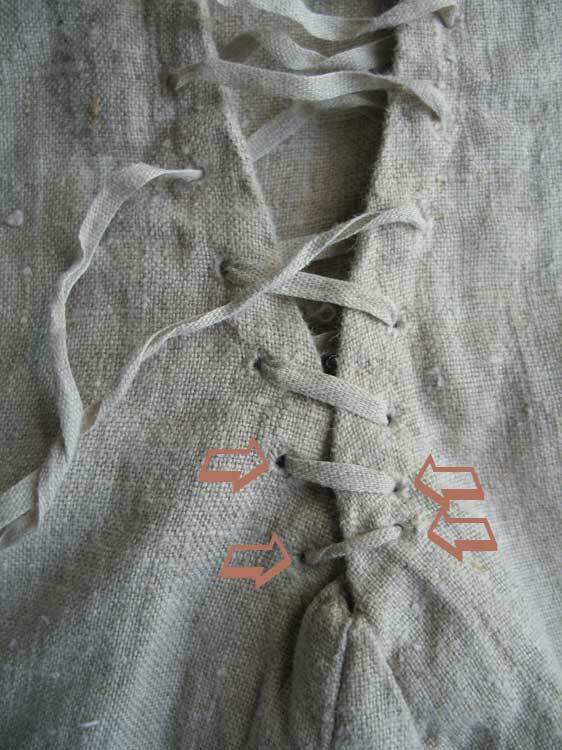 Notice how the lacing begins and ends. this way the lacing are locked and will not open in places were you don´t want an opening. This opening got torn apart several times. 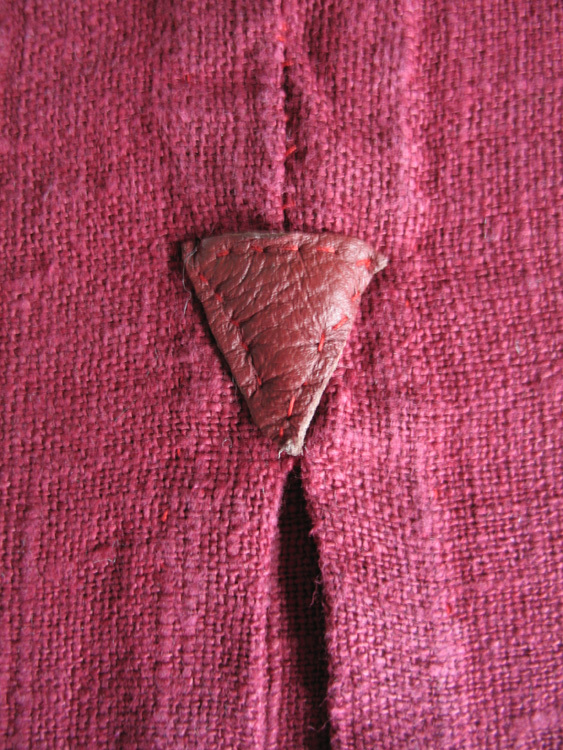 I couldn´t sew it nicely the third time, so I just sewed this leather triangle on top of the slit. 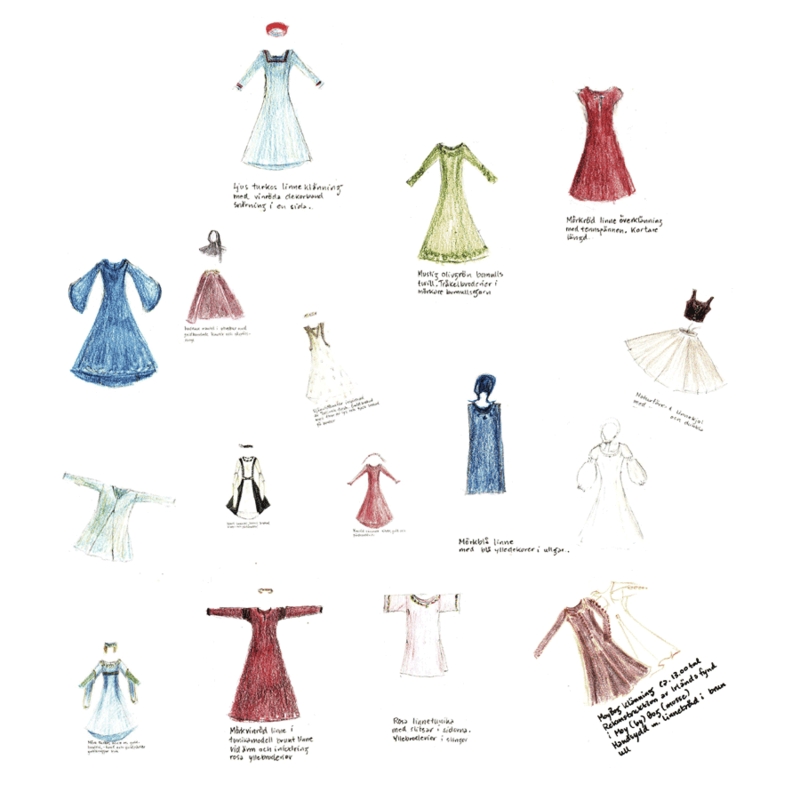 When you want to go to an event, it isn´t easy to overlook your costumes, take the time it takes to draw al your dresses. Smal images only 3 inches high. This have helped me with my preperations before the event, and it is helpfull if you want to add some more costumes and you want them to fit with the others.